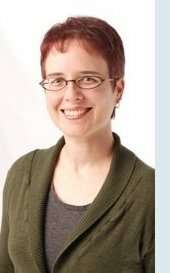 Now that I have your attention, let me introduce you to Snow Wildsmith, author, book reviewer, and former teen librarian. Snow was a recent expert for the Talking Story newsletter on graphic novels. 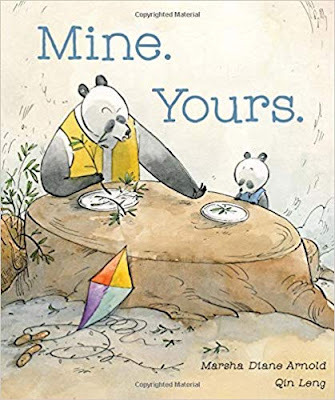 In this interview she answers a few more questions about her recent book, A Parent's Guide to the Best Kid's Comics: Choosing Titles Your Children Will Love. At the end of this blog, you'll find directions on how you can win a personally autographed copy of Snow's book, or one of Katie Monnin's ebooks about using graphic novels in the classroom. All three of these books are practical for parents, teachers, and homeschool educators. Carol: Why do graphic novels appeal to you? Snow: I love graphic novels because I'm a visual person. For roughly 25 years, I studied ballet and modern dance using my sight to read physical movements. Graphic novels offer something similiar: visual elements combined with text. Today's kids are being raised and educated in a highly visual world. Computers, smart phones, and tablets all require a good amount of visual literacy. For this generation of learners, graphic novels are an easy and familiar way to process information. Carol: As a librarian, what place do you think graphic novels should have on a child's bookshelf? Snow: For kids who are building their reading skills, graphic novels offer an extra way of understanding language. They’ll see a picture and text combined in a way that reinforces the meaning of the words they’re reading. But it’s not just reluctant readers or less proficient readers who connect with graphic novels. Many comics offer a wide range of vocabulary, some of which can be very advanced. The visual component helps readers expand their vocabulary without feeling as if they are being forced to read a book full of SAT words. Many readers like graphic novels for the same reason they like prose titles – they are good stories created by talented storytellers. The titles that kids (and teens and adults) are beloved because they are well written, beautifully illustrated, and deeply engaging. Carol: What is the difference between graphic novels and comic books? Snow: Graphic novels are comic books with sturdier bindings, larger page count, and more complete story lines. Many graphic novels combine several comic books into one volume, such as releases of Batman or Spider-man comic books. Other graphic novels have never been released in comic book format. Babymouse, for example, allows the creator to tell a longer and/or more complete story in one sitting. Carol: What about Manga and anime. What are they? Snow: Manga is Japanese for comics. Like Batman comics, manga series are released in Japan in serial format and published in one magazine. (Sort of like having a magazine made up of one Batman comic book, one Superman comic book, one Wonder Woman comic book, etc.) Once a manga series is popular enough, then the individual chapters from the manga magazine are combined into a graphic novel volume. Anime means animation in Japanese. Carol: How do you classify a book like Hugo Cabret? Snow: I think of it is as a "graphic novel hybrid." Other graphic novel librarians like myself use those words to cover titles that aren't full graphic novels -- with only panels and text bubbles and other comic elements -- but also aren't titles that are only prose. In Hugo Cabret and other titles like the Frankie Pickle series, the Dragonbreath series, and the Wimpy Kid series, the art is an essential part of the story -- you cannot skip over the images or you will not understand the story. That makes them like a graphic novel and unlike an illustrated novel, such as my edition of Peter Pan which has a few illustrated pages that are pretty to look at, but do not have to be viewed in order to follow the story. But in those same graphic novel hybrids, the prose sections are not formatted like a graphic novel, making the hybrids more like a prose novel in that section. Hence the term "graphic novel hybrid," because it is a mix of formats. Carol: For my readers who are writers, can you tell us about your path to publication? 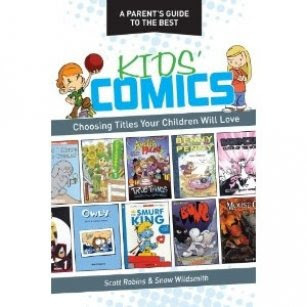 Snow: Maggie Thompson, one of my editors, is a long-time comics promoter and co-founder and editor of the Comics Buyer's Guide, had the idea to do a guide to kids' comics. She began asking around to see who might want to work on such a guide and Michael Martins, a Vice President at Dark Horse, gave her my name. 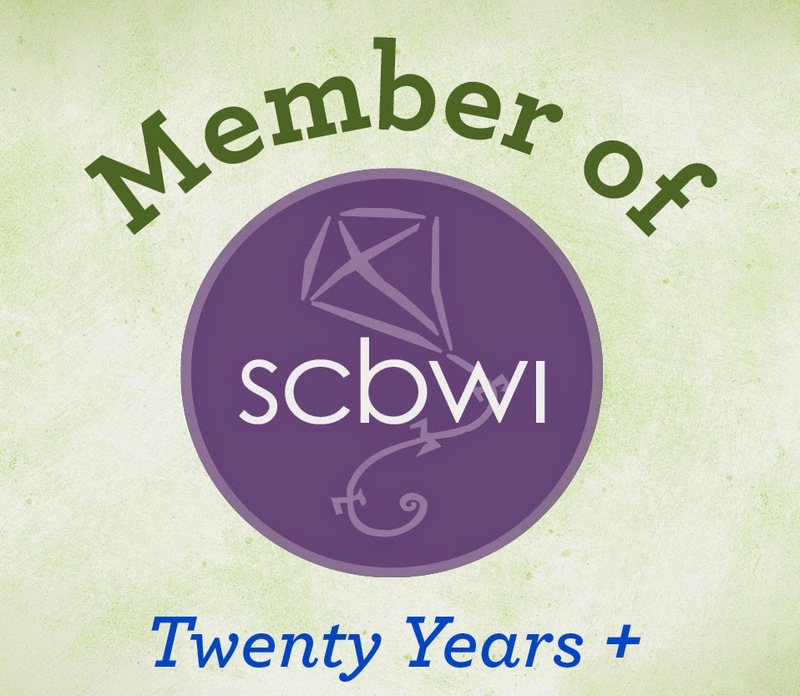 He knew me through the American Library Association and because of my work as a book reviewer. She contacted me and I was interested, but since I was currently in the middle of doing a nonfiction series, I didn't want to tackle another project on my own, so I asked if I could add a co-author. They agreed and I asked my friend and fellow librarian, book reviewer, and kids' comics expert, Scott Robins. Carol: Thank you Snow! Here is a list of graphic novels which Snow recommends. #1 An autographed copy of Snow's book, A Parent's Guide to the Best Kid's Comics. #2 Katie Monnin's ebook, Teaching Early Reader Comics and Graphic Novels (courtesy of Maupin House). 3. Leave me a comment with your email address indicating which you did and which book you prefer. I will try to honor requests! I'll select a winner on June 4, so start tweeting, following, and commenting now! Next week look for Snow's blog post on her other recently published books. More giveaways too! What a great giveaway! Thanks for sharing! I'm now following you and I tweated about your giveaway. I like all 3 books. 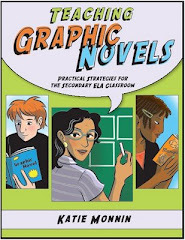 Teaching Graphic Novels: Practical Strategies for the ELA Classroom stands out to me the most. My email address is jjas0930@gmail.com. I am so glad to see a post on this topic. I am not as familiar with this genre as I'd like to be. Thanks for the interview and giveaways. I would love to be considered for any of the copies, although #1 is my 1st choice. 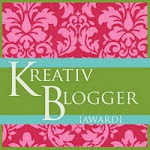 I have placed a link to your blog on my blogroll at "A Writer's Playground." It posted again today. Please visit again soon and bring a friend. Thanks LInda and Liliris for commenting and reposting this blog. THanks Liliris for becoming a new follower too. I'm delighted to enter your names and happy that you each wanted different books! I've taught a graphic novel class with my art teacher (I'm the librarian) at our school geared for grades 10-12, but I'm less familiar with graphic novels for younger readers. 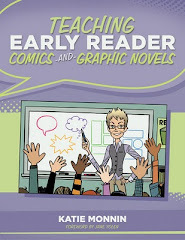 "Teaching Early Reader Comics and Graphic Novels" would be a really useful read for me. Thanks for the info, I'm glad I found your site! Brynn, I'm glad you found me too! I will enter your name into the contest. BTW, how did you find me? It's fun to find out how people find me! Great giveaway! I just had a bunch of graphic novels donated to my classroom. I've never used them before, but I know my 5th graders will enjoy them! I'd love one of the teaching graphic novel books! By the way, I found this on the Maupin House blog! Thanks, Sally. I'll include your name in the drawing. YOu just got in under the wire! Thanks for becoming a new follower!